Prof. Chu obtained his B.S. degree in Chemical Engineering from National Taiwan University, Taiwan in 1978. His Ph D in Chemical Engineering degree was conferred by Rice University, 1985. 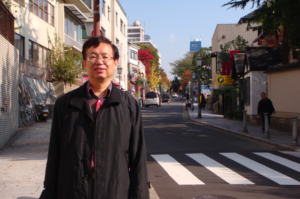 He served as a faculty member in Chemical Engineering Department, National Tsing Hua University, Hsinchu, Taiwan since 1986. Biomaterials, especially composed of synthetic polymers, in the forms of micelles, hydrogels or composites with bioceramic components are my main research area. Applications of these materials in drug delivery, tissue engineering and cell therapy are also included in my research.